At Write Ireland, we like to cover all our bases, so we can be sure we're covering yours. 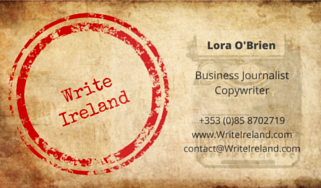 Our two lead copywriters are qualified and experienced in a broad range of business and marketing disciplines and specifics - we provide the experience and expertise to grow your business the easy way. Lora O'Brien is a Business Journalist, and Irish Heritage and Tourism professional, with over a decade experience in daily senior management and community development. That means HR; accountancy; event design and management; PR; customer service; planning and budgeting; grant proposals, application and reporting; heritage conservation and interpretation; SME and micro enterprise business growth; and content marketing. 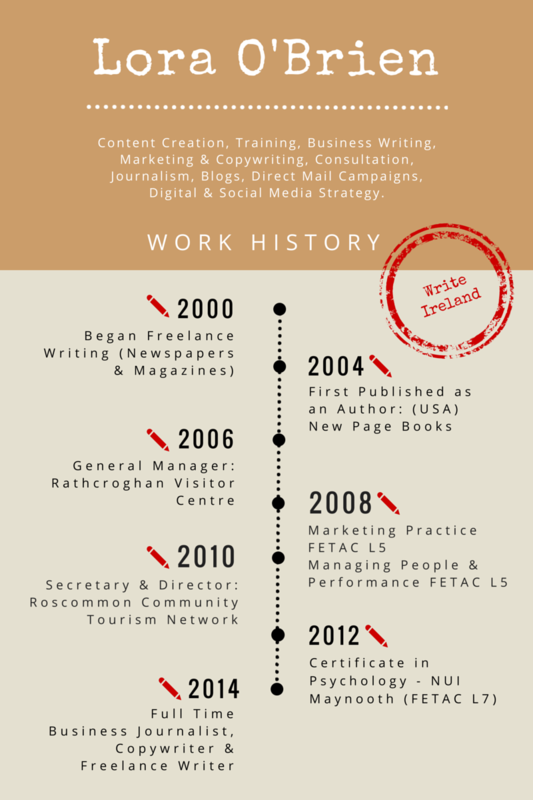 She was jointly responsible for tourism development in County Roscommon, as part of the Roscommon Tourism Network - and lead the Information Management, Data Capture, and Legislative Responsibility Consultation and Training for the county in 2012 - 2013. 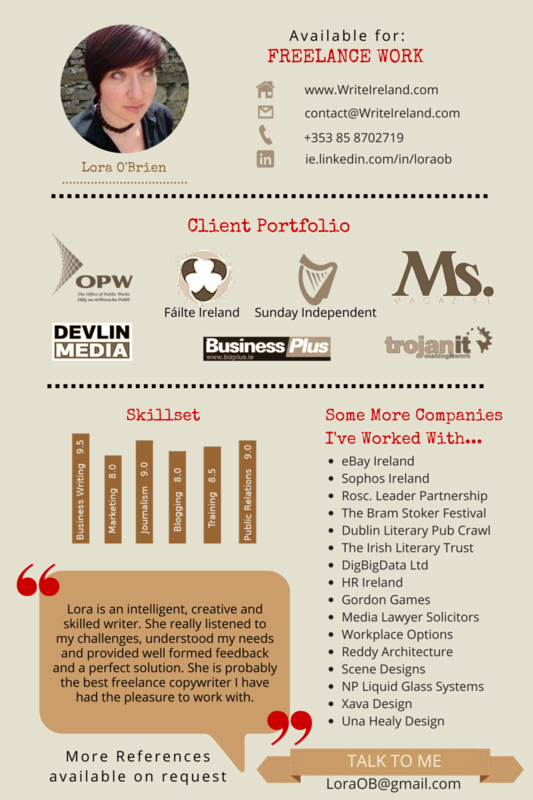 Lora has been an internationally published non-fiction author since 2004, and writes articles for national and international consumer print and online publications, including the Business section of the Sunday Independent. A Certified Insurance Practitioner (CIP), Ian Paul Power has worked in one of Ireland's leading insurance agencies for over 8 years. 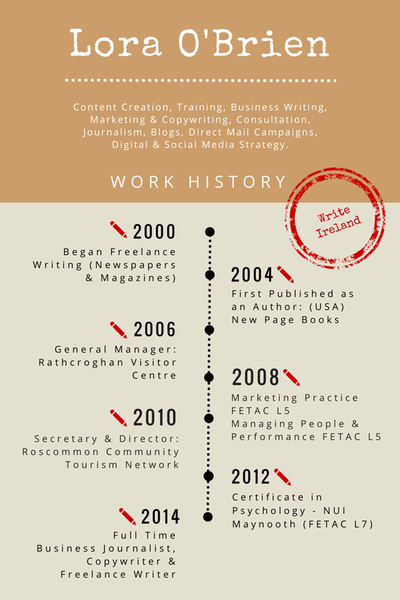 His expertise as a Business and Management Information Analyst is an invaluable resource to the Write Ireland team. Ian is also an urban fantasy author, whose debut novel was traditionally published in 2013.